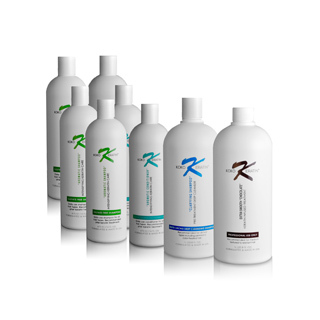 The Brazilian Keratin Treatment System is a technique used to gain silky straight hair at a reasonable price in a reasonable amount of time. The treatment takes approximately two hours to complete, delivering perfectly straight hair. There are numerous benefits to having the Brazilian Keratin Treatment performed on your hair. As mentioned earlier, the factor of time is beneficial for an individual who is too busy to sit in a salon for the majority of the day in order to gain the straight hair they desire. Also, because the treatment may be performed for a reasonable price, silky straight hair is available to a larger scale of customers when comparing to more expensive treatments. The Brazilian Keratin Treatment System may be used on most types of hair, from curly and frizzy hair types to highlighted and colored hair.